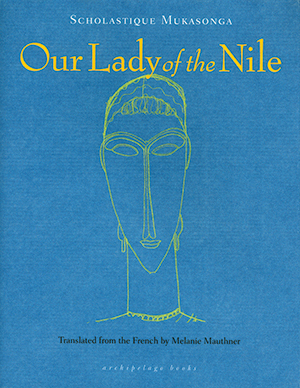 Our Lady of the Nile (Notre-Dame du Nil, 2012) won the Prix Renaudot, the French Voices Award, as well as the 1994 Ahmadou Kourouma Prize. Scholastique Mukasonga lived the ethnic conflicts in Rwanda and lost twenty-seven of her family members as a result of the Tutsi genocide, while being forced to take refuge in France. 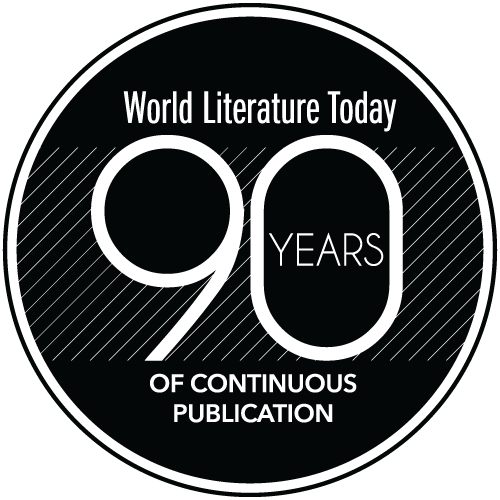 The novel reflects glimpses of a tension-filled past and slowly moves to uncover racial strife and the increase of genocidal actions against the Tutsi minority in Rwanda through the eyes of lycée girls enrolled at a Catholic boarding school that stands isolated on the Ikibira mountaintop by the river Nile, gated and guarded. The lycée was built by the Belgium colonizers in Africa and encompasses an isolated, delineated area above the poor village of Nyaminombe, with an exotic garden, a guest bungalow, and foreign teacher villas. When the lycée opens, luxurious cars travel to the mountain to bring daughters of businessmen, governors, and the country’s elite. They will all be trained accordingly to maintain status, increase their chances of an advantageous marriage, and make a fortune. The only Tutsi girls in the lycée, Virginia and Veronica, are a minority (the yearly quota is two Tutsi students for twenty of other origins). Veronica accepts the veneration of Mr. de Fontenaille (a former plantation owner who discovered the shrine of a local queen and is fascinated by the idea of Tutsi Egyptian roots), and she participates in ritualistic performances centering on the image of Isis. Virginia draws away from the pagan rites and searches out the advice of a witch doctor in her aunt’s village; she is determined to put the discovered shrine remains to rest and perform a traditional ritual cleansing of Fontenaille’s desecrated burial site. She is driven by the apparitions of former local queens in her dreams. The chain of authority reverses toward the end of the novel: at the beginning, Mother Superior maintains the religious place of authority, seconded by Father Hermenegilde, but toward the end of the novel Gloriosa, one of the lycée’s students, takes advantage of her father’s political influence and status to become the feared head of racial persecution in the school. She orders beatings, rapes, and executions. Gloriosa not only represents the feared militant political youth ready to commit atrocities against the Tutsi but also the abusive force that eventually destroys the religious symbol of the Lady of the Nile’s statue in order to make sure it does not have a Tutsi nose and reflects only Hutu facial features. The destruction of the statue’s head under Gloriosa’s hammer blows signifies the decimation of faith and the dominance of the New Man, tormented by racist thoughts and extreme violence. Hiraide Takashi. Eric Selland, tr. Dominique Eddé. Ros Schwartz, tr. Don’t Call Me a Victim! Dina Yafasova. Melanie Moore & Clare Kitson, tr. Fereshteh Nouraie-Simone, ed. 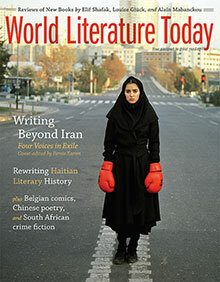 Faridoun Farrokh & Sara Khalili, tr.